Add relaxing in the cozy Sonax Park Terrace collection to your exciting summer plans. The L-103-TPP L Seat anchors the Park Terrace set by providing a corner the M-103-TPP Armless seats and O-103-TPP Ottomans can be placed next to. The Textured Black Resin Rattan Weave is complimented by high quality, weather resistant foam seat cushions wrapped in zippered and washable Salt and Pepper seat covers. Ready to use upon delivery, you can complete your summer with this comfortable patio set from Sonax. 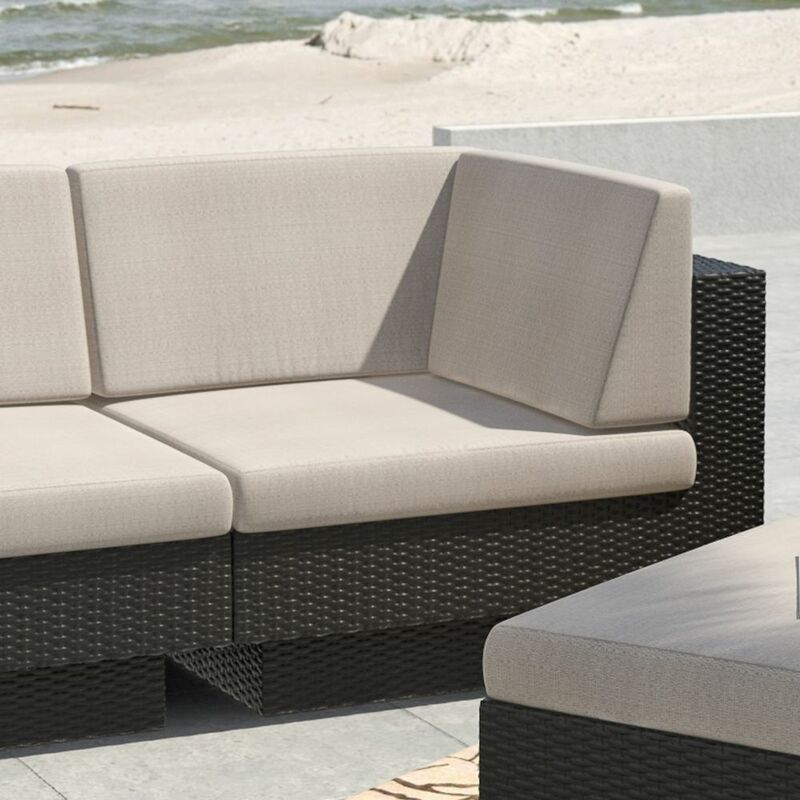 Park Terrace Corner Patio Sectional Seat in Textured Black Add relaxing in the cozy Sonax Park Terrace collection to your exciting summer plans. The L-103-TPP L Seat anchors the Park Terrace set by providing a corner the M-103-TPP Armless seats and O-103-TPP Ottomans can be placed next to. The Textured Black Resin Rattan Weave is complimented by high quality, weather resistant foam seat cushions wrapped in zippered and washable Salt and Pepper seat covers. Ready to use upon delivery, you can complete your summer with this comfortable patio set from Sonax.